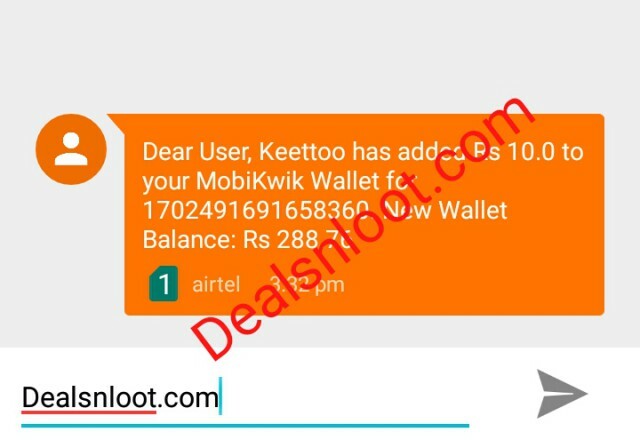 Hello Dealsnloot Readers, Get Rs 5 Free Paytm And Mobikwik Cash on Sign up, Here is again new offer which is giving Rs 5 Paytm,Mobikwik cash on Sign up. The unique Keyboard app through which you can earn money easily. So Download now and get Rs 5 Free Paytm cash. 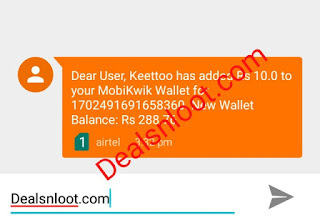 The world of tips tricks and deals is back with an new free earning app named Keettoo keyboard which is providing Rs 5 Mobikwik,Paytm Cash On Signup and you can earn more by doing simple activities like watching ads. 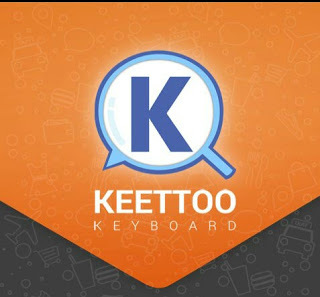 Keettoo keyboard app is a new app in playstore which is offering Rs 5 Paytm And mobikwik cash to new users for downloading the app and creating a new account on it. Note : you can redeem this earning only after 12 Hours.In New Update Paytm Transfer Option Start Again. 2. Now it will ask you to make it your default keyboard Application.Just grant their permissions. 3. Register on app by entering your detail like phone number, email etc. 4. Verify your mobile number with OTP. Great !!! You got Rs. 5 into your Keettoo wallet. 5. Complete Some Simple Tasks & Earn More. click on Menu >> My Account. Click on Redeem and enter the required details. Great !!! You will get your money into your Paytm And mobikwik wallet soon. You need to wait for 12 hours to redeem your money.